KOTA BHARU, MALAYSIA — After Malaysia’s opposition coalition announced a reform-inclined election manifesto on Feb. 25, an opinion poll released the following day showed that Prime Minister Najib Razak’s popularity down two points to 61 percent, while his government had the approval of 45 percent of Malaysians, also a two point drop, according to findings by The Merdeka Center, a Kuala Lumpur-based research firm. What is expected to be Malaysia’s closest-ever election will take place sometime between now and the end of June this year. Opposition lawmaker Dr Dzukelfy Ahmad is confident that the three-party opposition coalition can make history by winning the vote, an outcome that would end the governing National Front’s unbroken run in office, having governed since independence from Great Britain in 1957. “In a clean and fair context, we have a fighting chance of winning,” says Dr Ahmad, a MP for the Pan Malaysian Islamic Party (PAS), one of three parties in the opposition coalition led by Anwar Ibrahim, a former deputy prime minister. The election comes after a turbulent couple of years in Malaysia, with the opposition joining Kuala Lumpur street protests held in 2011 and 2012 that called for reform of Malaysia’s electoral system, which activists see as slanted to favor the long-ruling National Front. Those protests ended in violence and with pledges by the government to make changes, but the opposition is not satisfied. “We are still insisting that the election commission ensure there will be no cheating and that there will be a clean electoral roll,” says Dr Ahmad. But despite the opposition’s optimism that they can win, not all voters are convinced. Shading himself from a squint-inducing sun in the northeastern town of Kota Bharu, watch-seller Mohamed Noh says that he will vote for the governing parties. “BN [Barisan Nasional, the Malay name of the National Front] is very good, very strong for federal government,” he says, his remarks perhaps something of a surprise, given that Kota Bharu is capital of Kelantan, a state long-dominated by PAS, whose green and white flags line roads all over the state. PAS, sometimes likened to a Malaysian version of the Muslim Brotherhood, has irked coalition partners—particularly the ethnic Chinese-dominated Democratic Action Party (DAP)—by saying it wants to enhance sharia law in the state, such as by implementing hudud, a sharia-based penal code. Malaysia has a dual legal system, with Islamic law applicable to the country’s Malay Muslim population, but not to the 40 percent of Malaysians who are Buddhist, Christian, Hindu and other religions. The governing coalition, which also includes parties representing Malaysia’s Chinese and Indian minorities, as well as the United Malays National Organization (UMNO), the biggest party in the country, says the dispute is proof that the opposition is too divided to govern. Another sharia-related dispute, however, is highlighting rivalries between UMNO and PAS. In 2009, Malaysian courts ruled that religious minorities had the right to use the word “Allah,” a loan word from Arabic, to denote “God” in their scriptures, seemingly ending a dispute that fanned religious tensions. But the issue has re-emerged in recent weeks, with Malay hardliners linked to UMNO threatening to burn Bibles after DAP leader Lim Guan Eng called for Christians to be allowed use the “Allah” in line with the court ruling. Speaking in the east coast city of Kuala Teranganu, three hours drive south of Kota Bharu, on Feb. 23, Prime Minister Najib Razak said that a vote for the opposition would weaken Islam in Malaysia, accusing PAS of compromising Islamic principles by allying with DAP, a former socialist party popular among the 25 percent of Malaysians who have Chinese ancestry. “When DAP belittled Islam, made statements that offended the Muslims, what did PAS do? They did nothing and bowed down to DAP leaders,” Najib said, addressing what government-linked press described as a 40,000 strong crowd. PAS has said that Christians and others should have the right to use the word, a stance that has forced the party onto the back foot. However, Dr Ahmad, a senior PAS figure, says that the issue shows desperation by the governing parties. “BN cannot get the support of Chinese and Indian-Malaysians,” he says, while doubting that the sharia-minded voter will be swayed by the arcane-sounding controversy. “The BN only preach to the converted, they will not get any extra votes out of this,” he adds. However, according to research by the Merdeka Center, 83 percent of Malay voters insist that only Muslims have the absolute right to use the world “Allah,” suggesting that the issue could in turn play in the minds of voters come election time. In Kuantan, the largest city on peninsular Malaysia’s east coast and a tourist draw due to spectacular beaches a short drive from the town, environmental concerns will likely be a central issue for voters. Here, local environmentalists and the opposition have coalesced around seeking the closure of a rare earths processing plant a 20-minute drive from the central business area of the town. Rare earths are a set of minerals used in high-tech industries, and are vital to economies in Japan, Korea and the West. China currently dominates the world market, but the Kuantan plant, which opened recently under a government license, could supply 20 percent of the world’s rare earth needs. The minerals are mined in Australia and the plant is run by Lynas, an Australian company. Bun Teet Tan, a prominent anti-Lynas campaigner, says that the minerals should be processed elsewhere, due to what he says are unaddressed environmental concerns. “Its proposed management of its wastes—gases, water and solid wastes—in relation to the surrounding environment is unacceptable,” says Bun Teet Tan. The opposition has said that it would close the Lynas plant if it wins the election, but Lynas says the plant is safe, and the government wants it kept open. “They have done research and know if it is good or not,” says Mohamad Abd Karim, a government supporter, speaking after evening prayers at the main mosque in Kuantan. Saravanah Anthony, manager of the De Rhu resort on the popular Balok beach outside Kuantan, says that the opening of the rare earths plant has not put tourists off visiting. “There hasn’t been any impact, we don’t see any difference in numbers,” he says. 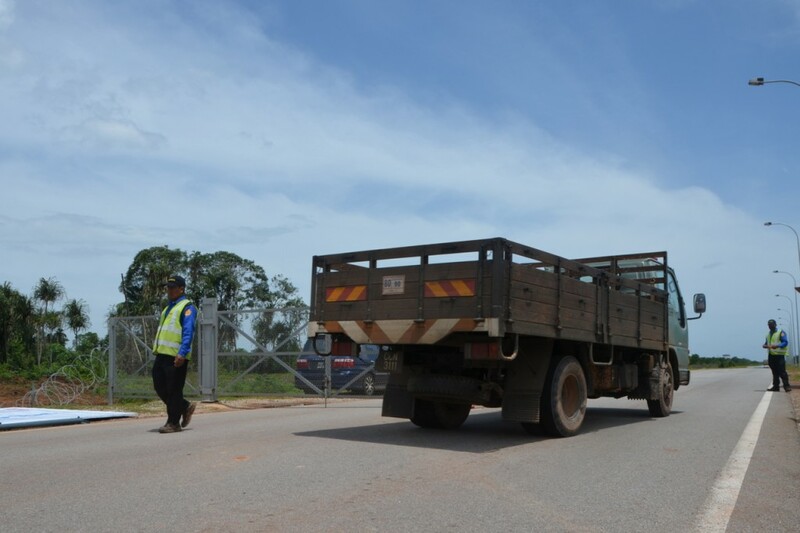 Whether or not the rare earths issue motivates voters outside the Kuantan region remains hard to gauge. But across Malaysia, economic issues are likely to play strongly in the minds of voters. 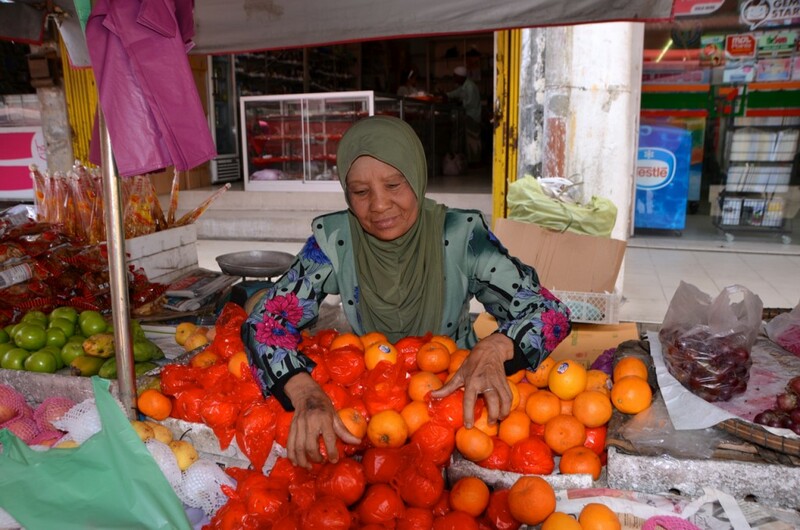 Malaysia’s economy grew 5.2 percent in 2012, and the government is pointing to its economic record as a vote-getter. “Malaysia’s unemployment stands at just 3.2 percent and its inflation rate at a mere 1.3 percent. This has had a real impact on people’s living standards. Per capita income has increased from RM 25,000 [US $8,080 ] in 2009 to almost RM 31,000 [$10,000] in 2012,” a BN spokesperson said in an email. The opposition says it will reform aspects of Malaysia’s economy which it says promote corruption and inequality, pledging that each household will have a minimum monthly income of RM 4,000 ($1,300) per month and promising one million new jobs for Malaysians. “We believe that a social market economy will reduce yawning income disparities between Malaysians,” says Dr Dzukefly Ahmad. “They say they will reduce the price of almost everything, while reducing taxes and increasing wages. But they don’t say how they will pay for it,” a BN spokesperson adds. But even the government’s economic record might not be enough in a close contest, with the opposition’s reform-oriented message resonating among middle-class Malays and younger voters. Wong Suong Kiat, a 33 year old engineer and opposition supporter, says that though he wants to see Malaysia continue to prosper, he does not think that the government has a monopoly on good stewardship of the country’s economy.